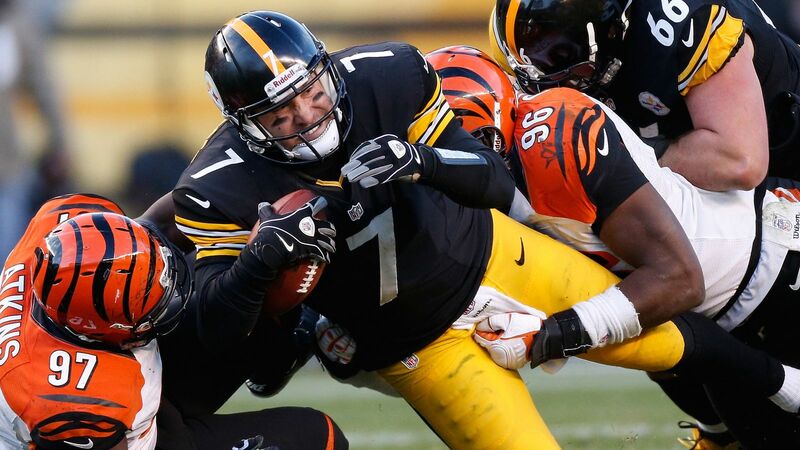 Vontaze Burfict likes to play football. A lot. Vontaze Burfict seems to get fined. A lot. His latest run-in, 2 separate hits in the last Pittsburgh Steelers game, cost him $112,000. Considering the opponent, it was almost worth it. His career list of offenses, which reads like that list from season 2 of The Simpsons where Marge was documenting the ways Itchy and Scratchy were slaughtering each other, includes unsportsmanlike penalties, late hits, spearing, stepping on LeGarrette Blount, and the incident that makes us hope Ryan Taylor was wearing his jock. Burfict’s total fines since 2013 clocks in at $415,637. So, if you’ve ever wondered how much you could buy with the total of VB’s bad-boy money, the answer is … a lot. All cost-of-living expenses for 9 out-of-state students to attend Arizona State University (Burfict’s alma mater) for a year. Plus some beer money. But you didn’t hear us say that. Burfict’s rookie salary as an undrafted free agent in 2012 ($390,000). This beautiful 3BR, 4BA house on Berwyn Place in Cincinnati, with enough left over for home furnishings. 415 Bengal kittens. Think $1000 for one of those critters is expensive? Mike Tyson spent about $4000 per month to care for his three white Bengal tigers back in the day. 24,755 copies of The Simpsons (season 2) on DVD. And FYI, these numbers don’t reflect the $4+ million in forfeited pay that Burfict has been docked because of his suspensions. Don’t get us started. Its Pittsburgh week, the Bengals survived the trap game and the weekend we wait for twice a year is now upon us. In last Sunday’s game against the Dolphins we saw the Bengals offense struggle for the first time this year. On the flip side we saw the defense step up and win us the game, coming away with two defensive scores and three takeaways. While there is much to improve on with special teams, the Bengals defense was dominate. They held the Dolphins offense to just 10 points. It was a very promising showing heading into this week. This week will be my first time not attending a home game for the Bengals this year (I was also at Indianapolis which is basically a home game). I debated long and hard about it and decided to save some money and stay home and watch. The Steelers games can get rough with the opposing fans. It seemed like it would be more comfortable to watch in the safety of my own home. William Jackson III vs. Antonio Brown – Last year Jackson was able to shut Brown down, dominating him through two games. This year Jackson has taken a small step back in terms of how “shutdown” he has been. However, last week both Jackson and Dre Kirkpatrick did not allow the Dolphins to complete anything down field. The Bengals corners may have found their groove at the perfect time. William Jackson will once again look to shut down Brown and frustrate this offense. The Bengals Defensive Line vs. Big Ben – Earlier in the week, Carlos Dunlap was on record calling Big Ben a “300 pound quarterback”. Ben was also in the news this week talking about how dirty this matchup can be. It will be very interesting to see how the Bengals defensive line handles taking down a big quarterback like Ben with the new NFL rules. Ben is very good at avoiding sacks, and the new rules may make this ever harder to do. Vontaze Burfict vs. JuJu Smith-Schuster – I am sure I do not need to remind anyone why this is a matchup to watch. JuJu laid a hit on Burfict last year that ended his season. It will be very interesting to see what happens when these two meet on the field and what it sparks between teammates on the field as well. This matchup and how both players handle it, could affect the outcome of this game. My Prediction: All games are must wins, but this one is particularly important. The Bengals will have a tough time winning the North if they cannot beat Pittsburgh at least once. They will be at home with the crowd behind them, making this the easier of the two Steelers games. The Steelers have been full of drama this year off the field while the Bengals have kept quiet and gone to work. I think this is a different Bengals team than in years passed. I believe they have the talent and mindset to go into this game and play smart and escape with a win. My prediction is a late field goal by Bullock to put the Bengals up for the win. Be sure to follow me on twitter @Pierson242FF, and be sure to tweet at me with any Bengals related questions or comments! ESPN is predicting an 8–8 record for the Cincinnati Bengals. That puts them within one win (based on ESPN’s predictions), either way, of five other AFC teams (Ravens, Jets, Dolphins, Bills, Colts). Meaning, those are the five teams the Bengals could possibly be competing with for a wildcard berth. If the Bengals want to get back to the postseason for the first time since 2015, who they beat is almost as important as winning in the first place. And we know juuuuust who they can beat. Here are my five picks for the most crucial games of the Cincinnati Bengals season. Win the majority of these, and a postseason ticket looks very punchable. You may be surprised that this game is this low on the list. That’s mainly because it’s the last game of the season, and the Bengals’ role in the playoff picture could very well be decided by now. If the race is close, though, then the team’s postseason fate comes down to beating their most hated rival on their home turf. How’s THAT for motivation? Wins within your division are doubly important, for obvious reasons. Beat a divisional rival and you are a game ahead of them. The Bengals can make a statement early in the year by knocking off the Ravens. It’ll send a message to the rest of the AFC North. It also gives Cincinnati a little padding if they drop the second meeting in Baltimore 8 weeks later. Indy QB Andrew Luck has said in interviews that he feels good. But it wouldn’t hurt him to spike his sideline Gatorade with white vinegar to help get some of that rust off. He missed the entire 2017 season with a bad shoulder. That makes you wonder how slick the Colts’ offense will be. Hopefully, it’s as effective as that get-under-your-school-desk-to-be-safe-from-the-A-bomb drill your grandparents practiced. Winning here puts a wild card competitor in a hole with 3 of Indianapolis’ next 4 games against teams picked at the top of their divisions (Eagles, Texans, Patriots). It’s true that we don’t expect Cincinnati to win the division. We don’t even know if they’ll be favored to win this game. But if you can replace an expected L with a surprise W on your schedule, the season’s outlook changes drastically. Ending Pittsburgh’s 6-game win streak against the Bengals and getting over that mental hump is huge. Both teams play tough opponents the week before this matchup. We’re guessing (well, hoping …… um, better make it praying) that the Miami Dolphins will be smarting more from their visit to New England than Cincinnati will be after its trip to Atlanta. If Andy Dalton and company can avoid looking ahead to game #2 on this list, that could pave the way to a pivotal win here. The Cincinnati Bengals have been pretty close to the playoffs the last couple of years. Well, maddeningly close. OK, knife-throwing-act-at-the-circus close. Not really, but it’s not far fetched to think that they are closer to being one of the Bengals teams that made the playoffs 5 straight seasons (2011-2015) than a team that is in total rebuild mode. Since we can’t change the past, we’ll do the next best thing – we’ll go back to the past. We’re gonna make our call on which four players from Cincy’s best teams (1988 and 2005) could help get this year’s team into the postseason. No offense to Andy Dalton, but we’ll take 2005 Carson Palmer any day as our signal caller. That year, he threw for 4.35 miles and had as many interceptions as he did multi-touchdown games (12). The 101.1 QB rating doesn’t hurt either. Palmer was also sacked only 19 times in ’05. Yes, that has more to do with the offensive line’s performance, but the quarterback still has to be able to avoid the rush and deliver the ball. Palmer did that. The only thing tougher than remembering Chad’s last name was trying to cover him in 2005. He posted a career-high 97 catches for 1,432 yards, and had 23 catches of at least 20 yards. On a scale of 1-10, his performance was a 16/dieciseis. Brown was the long baller (now, now) that we hope John Ross will be. He proved it by averaging 24 yards per catch in 1988 (still an NFL single-season record). The cherry on top of that sundae was how he saved his best games for Pittsburgh. In his two 1988 games against the Steelers, he totaled eight catches for 281 yards and three touchdowns. Having Brown on this year’s Cincinnati Bengals team – with two wins against Pittsburgh under our belts – would have the Paul Brown Stadium crowd dancing like a Fortnite flash mob. Let’s hope Ross can channel his inner Eddie. Munoz, the best O-lineman in franchise history, missed only three games in his 13 pro seasons, and none in 1988. You couldn’t get that kind of consistency if you custom-made an offensive tackle on Madden and raised all his durability levels to 99. Even more than his toughness was his productivity. That much is evident by his nine first-team All-Pro recognitions. And in a pinch, he could be used as a receiving option (seven catches, 18 yards, four TDs). We know we’re talking more about his career than just that season, but … c’mon, it’s Munoz. There’s no shortage of Cincinnati Bengals fans who think Marvin Lewis needs to go. If it happened (not that we’re saying anything), good ol’ Sam Wyche is the perfect replacement. He’s a proven winner who has a voice that sounds like a chainsaw revving up. Besides, anyone who does this needs to be leading the team. And he should get Valentine’s Day cards.